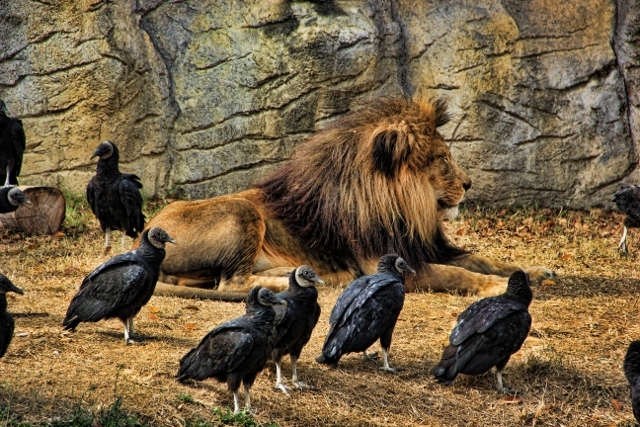 The vultures don’t fear the King of the Beasts. They know, that somebody needs to keep the den clean . So let them work. Yeah, I was so surprised to see that. I had just seen the jaguar chase a vulture that had flown by its cage. 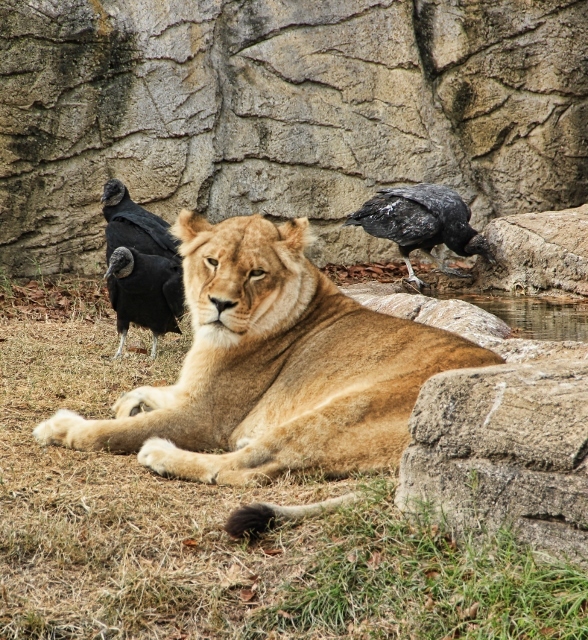 What’s wrong with that picture is that the lions are found in Africa (where there are plenty of vultures for sure… but not American black vultures – the species in the pictures).